Another view of the St. Johnsbury & Lamoille County, somewhere between St. Johnsbury and Danville, Vermont. At its height the SJ&LC ran from a Maine Central connection at St. Johnsbury to the Central Vermont near Swanton. 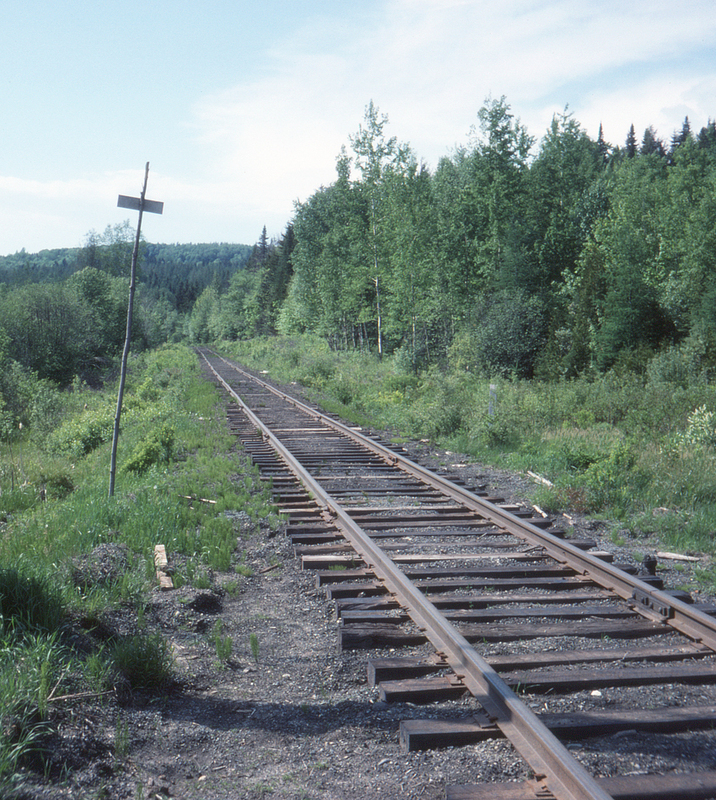 By 1973 the ICC had authorized the road to go out of business if other operators could keep the route running. In 1976 the SJ&LC was purchased by the state of Vermont and turned over to Morrison-Knudsen for operation as the Vermont Northern until it was taken over by local shippers in 1978 under the name Lamoille Valley Railroad. Today it is a recreational trail called the Lamoille Valley Rail Trail.